Another hand-lettered piece. 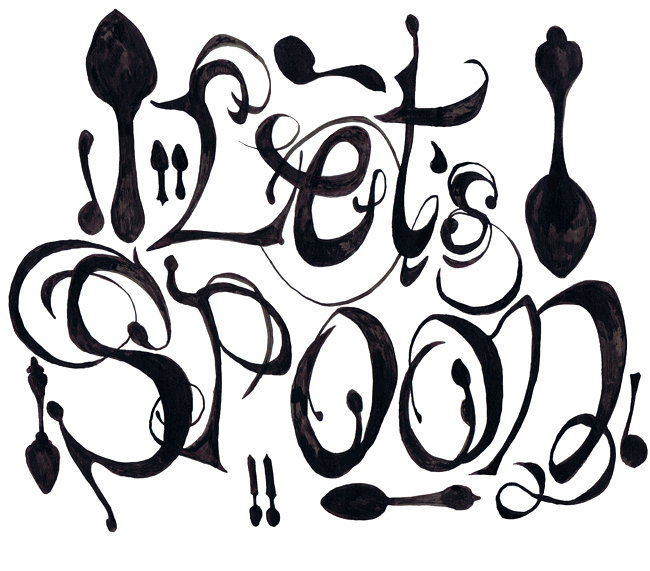 This one says "Let's Spoon" and has some spoon silhouettes. Everyone loves spooning, right? This piece is also available as a card for sale in my Etsy shop. I did another update yesterday and this morning so there are lots of cards and prints available!